Based on your feedback, we've added 4 translucent color options to the material settings. You can go to your Hub dashboard and update your offering right now. Today, all colors for 3D printing materials were standardized to simplify the process for both our suppliers and customer. The original system allowed for free text input, which resulted in over 20,000 different color options to be added. From our data we saw that it is possible to bring this number down to around 30 and still cover 99% of the orders. The migration ran automatically and most of your colors should be now mapped to the new options. The only thing we’d like to ask you is to check if your colors are still listed correctly in your dashboard and to update them if necessary. All currently running orders are unaffected by these changes. Thinking about expanding your color offering? 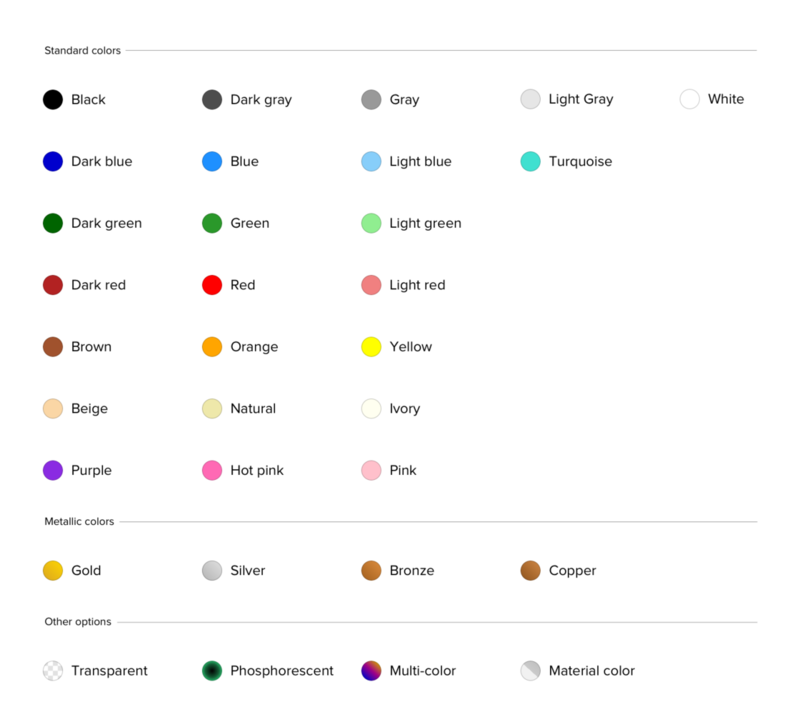 See the list of most used colors on 3D Hubs in our trend report. You will still receive text message for all order status updates including new order submission. Email notifications are not affected by these changes. 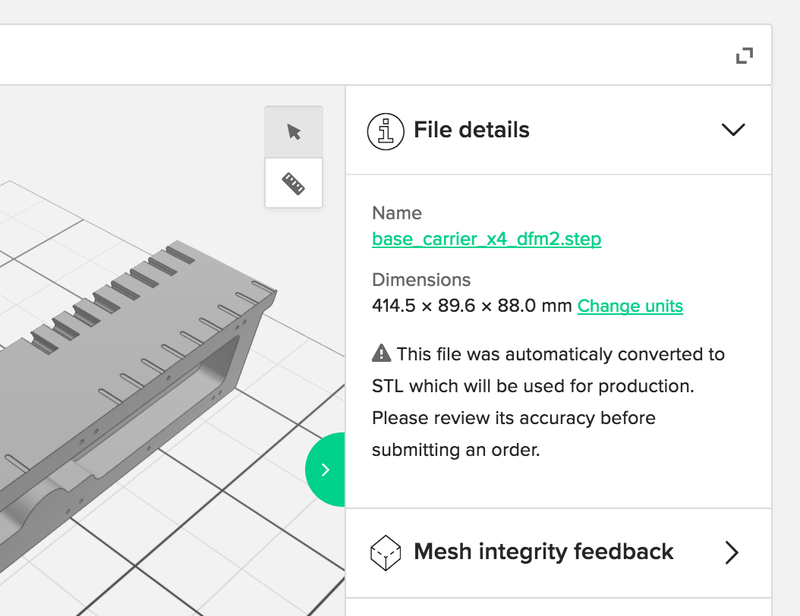 We’ve updated our 3D Hubs Slicer Settings and included these settings as part of FDM Quality Guidelines. The default infill percentage remains 25% and the shell thickness is 1.2 millimeters. The changes have been updated across all relevant pages. You will find them in the FDM Quality Guidelines, your printer settings and on the order page. Starting today we are supporting STEP and IGES file formats in our 3D printing checkout. We believe this will result in more professional customers uploading and ordering parts from our platform with less friction. 3D Hubs will automatically convert these files to STLs for production and prompt the customer to review its accuracy. In order to further simplify our platform and speed up our development we decided to remove features that aren’t performing as expected. This will allow us to focus on our core business and build a more reliable experience for our customers. Today we are deprecating additional Hub services and the ability to mark a Hub as favorite. Services (3D Scanning and modeling) were sometimes requested by our customers but we always felt like the implementation just wasn’t good enough. At the same time there are companies who are doing a good job in supplying both of these markets. Favoriting a Hub was almost never used by our customers even though it was one of the most requested features. We believe that reordering functionality that we announced earlier is a better solution to the problem. Starting today “3D Hubs Express” will become “Fulfilled by 3D Hubs”. Our customers often associated the word “Express” with a more expensive and expedited service. However this is not what’s being offered with this program. To address this we’ve decided to change the positioning and put more focus on reliable quality and guaranteed security. At the same time we are expanding 'Fulfilled by 3D Hubs' to two new countries: Canada and Australia. You can learn more about the recent changes and our vision for the future of 3D Hubs in a one page letter from 3D Hubs founders. Today, all 3D printing materials have migrated to a new infrastructure. 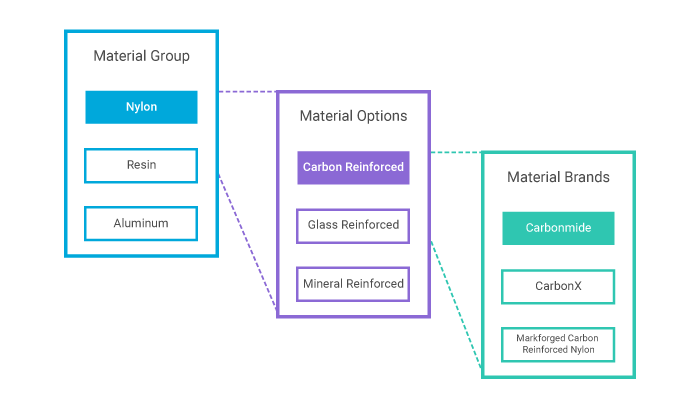 This was done to help make the categorization of materials more digestible for both Hubs and customers. A customer entering the 3D printing checkout is by default requested to select materials on the highest abstraction level (“Nylon”), unless the customer uses the advanced options to search for a specific brand. All Hubs are requested to enter their materials on the lowest, most granular, abstraction level (“Carbonmide”). Entering materials on the lowest level carries most information into the platform and to all users. 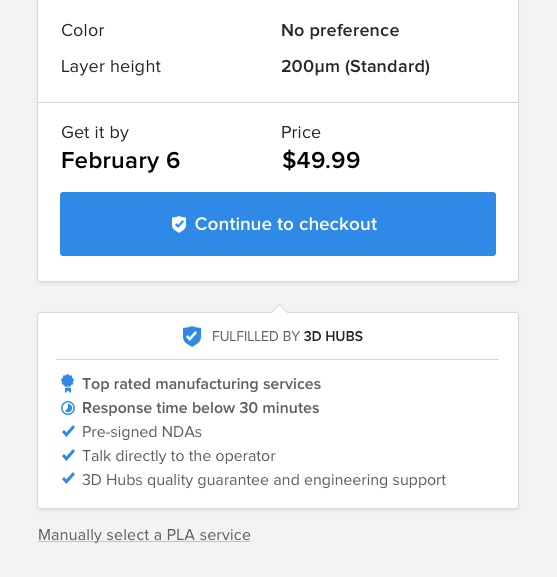 3D Hubs currently has a database of close to 1,000 different 3D printing materials, including datasheets for most. The new architecture allows users to search the material database based on anything from brand, to mechanical or thermal properties. All of this information will eventually become readily available to all users, like in the Material Index (currently in beta), a complete library of all 3D printing materials. The migration ran automatically, meaning there is no need for Hubs to re-enter their materials. The only thing we’d like to ask you is to check if your materials are still listed correctly in your dashboard and to update them if necessary. Materials that are currently not listed in our database are migrated as “unbranded materials” (e.g. “unbranded PLA”). Storing a material without a brand will have no impact on your listing, apart from the situation where a customer requests a specific branded material. So, if you do know the specific brand of your materials it’s beneficial to update this information. Over the next few weeks, we’ll update the checkout to allow for more advanced filtering, using the new architecture. We’ll also update the Material index with all new information and move it out of beta. Finally, if you’re missing any materials you think we should add, please contact support@3dhubs.com and we’ll add it with the next update. Last week we started a test where 50% of the new/logged out customers only see the Express Checkout (see previous changelog article here). The experiment has been successfully completed, with an increase of 8% orders submitted by new customers and an increase in average order value of 20%. Therefore we will move forward with implementing this feature for all new/logged out customers in the U.S.
Today we’re starting a test where 50% of the new/logged out customers only see the Express Checkout. 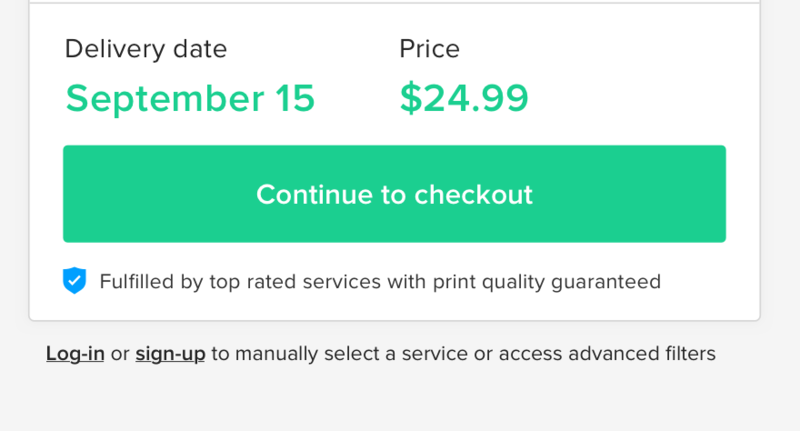 We’ve seen that for new customers, the Express Checkout performs significantly better than the manual Hub Selection. This experiment will tell us if showing only the Express Checkout increases the amount of ordering customers even further. The checkout remains unchanged for returning/logged-in customers. Surely 3D Hubs will start publishing changelogs very soon.